Well awarded potter Nicholas Sithole was born in Piet Retief, Mpumalanga. 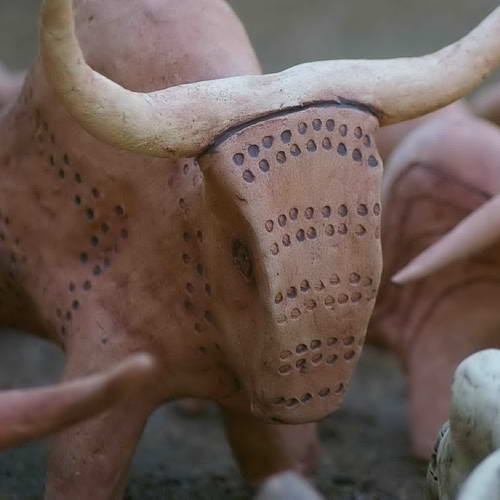 His maternal grandmother was a potter and since his childhood he has been interested in forming animals and people from clay. Nic’s earliest childhood memories involve times spent in the open veld looking after the family cattle herd with his cousins. 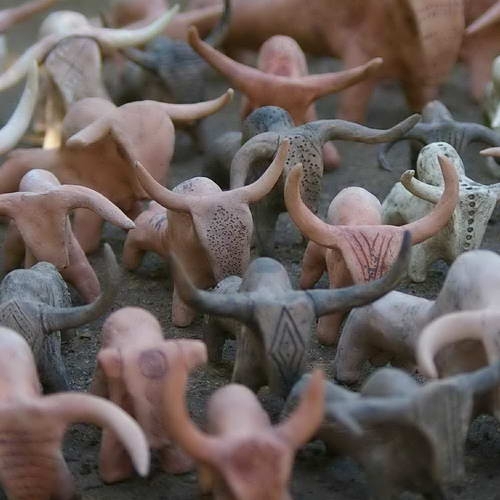 They would make small herds of oxen on the first day, let them harden in the sun the following day, and then have a big ‘battle’ till all the clay oxen had broken and a winner was declared! The next day they would start all over again and make another herd, and so on. 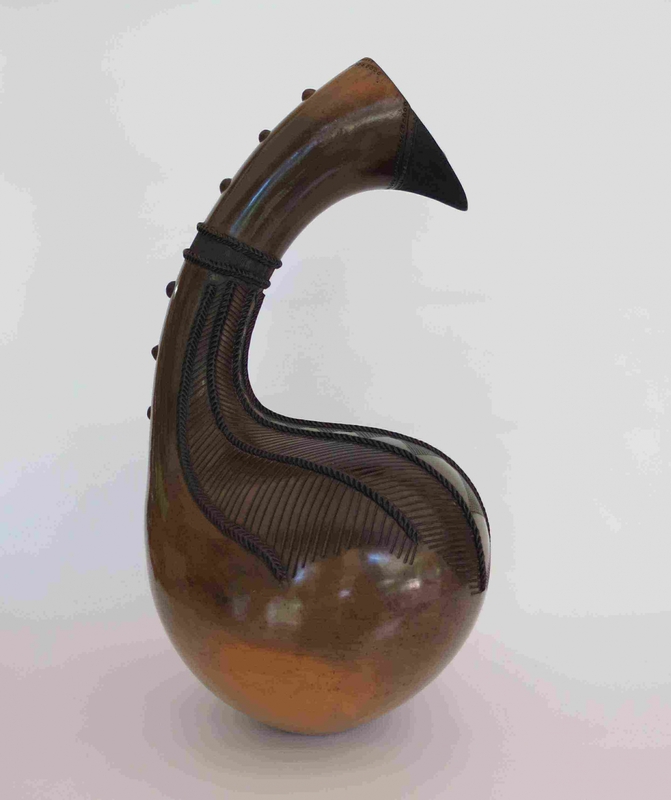 He started producing work under his own name for the first time in 2007 and has participated in many exhibitions since then, including the Ceramics Southern Africa Regional and National exhibitions. In July 2009 Nic collaborated with well known landscape artist Corne van Eck, and they exhibited their work at the Association of Arts in Pretoria. Nic’s work has been well received and his formal entrance into the ceramic market has been met with enthusiasm and support from fellow artists, collectors and gallery owners alike. 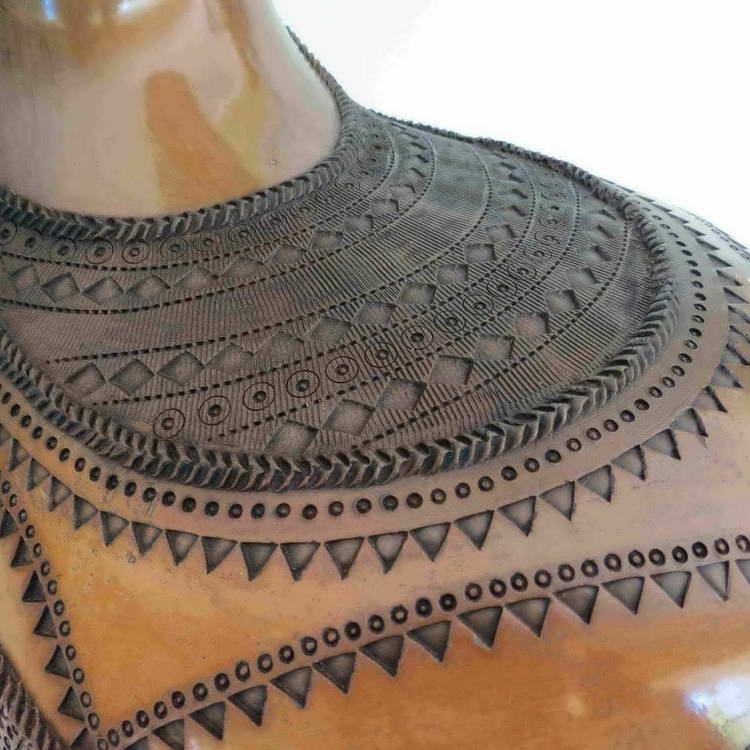 The potter’s work can be seen in the Corobrik Collection, at the Pretoria Art Museum, at the Nelson Mandela Museum in Port Elizabeth and at the William Humphreys Art Gallery in Kimberley as well as various private collections locally and internationally. 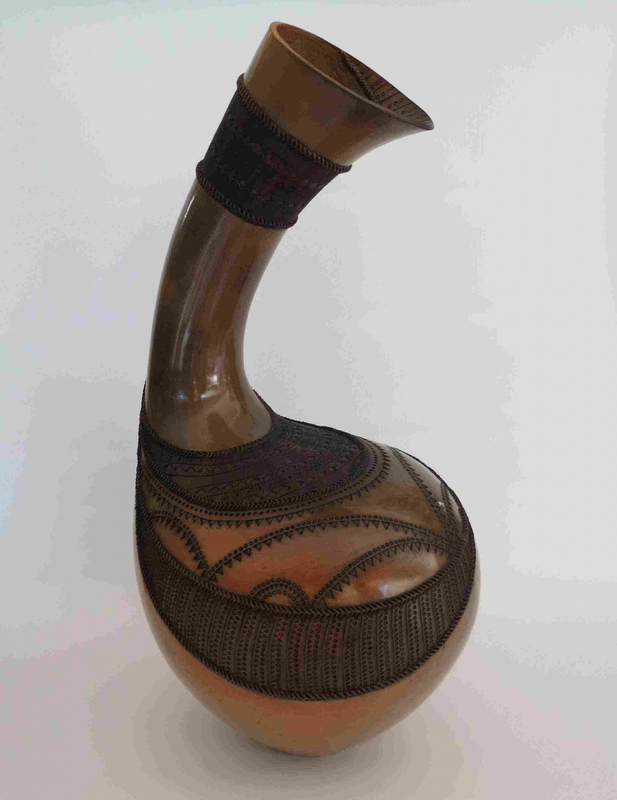 Nic admires the work of Kenyan born Ceramic artist Magdalene Odondo. 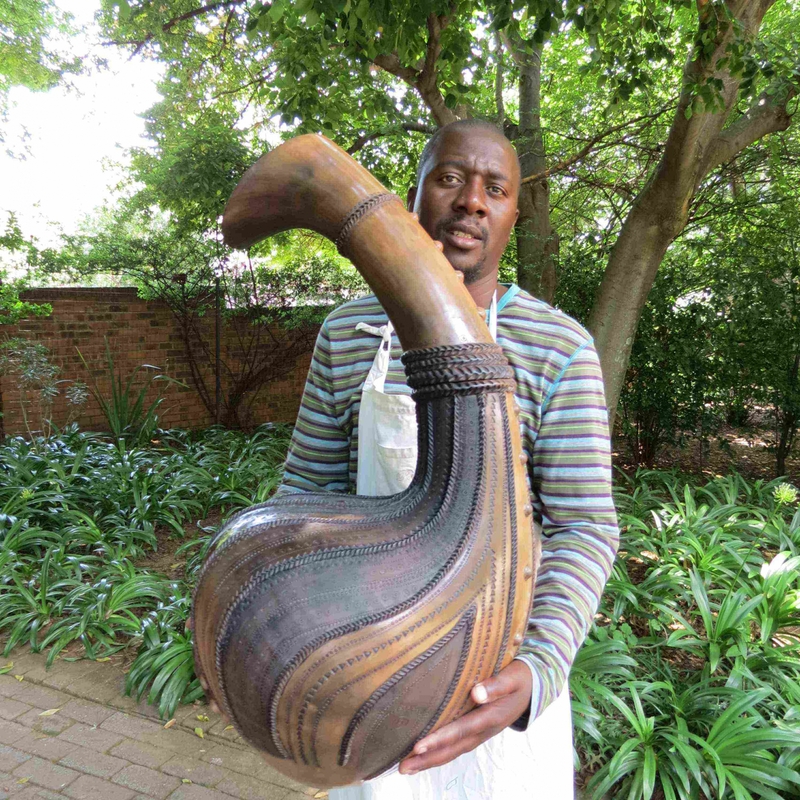 Michelle Legg, MTech Ceramics UJ, taught Nic to make traditional Zulu and Venda pots and he realised that this was the method that he could use to best express his creativity. He has explored surface treatments that enhance his forms such as burnishing, terra sigillata and smoke firings. Nic works at The Pottery Studio in Bryanston on his exhibition work and freelances at various production studios.